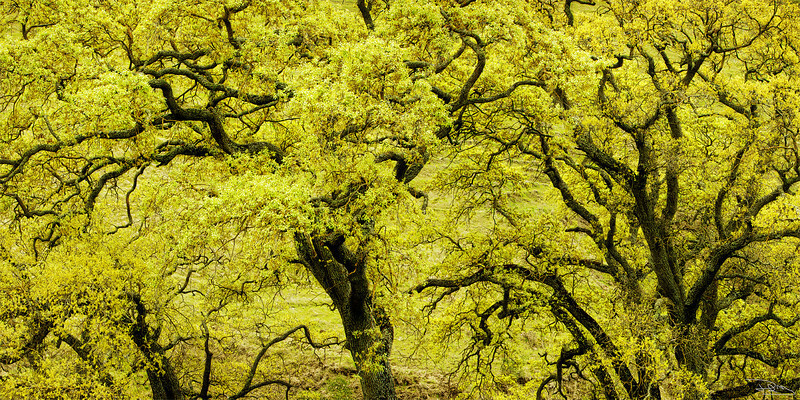 Oak trees throughout the hillsides somehow always seem to be perfectly placed as though each one was part of a master plan. If you look closely, their limbs create a maze. A maze that has been shaped by winds and weather as though one tree was looking to embrace the others in protection.